Updated PvE Suggestion box with current suggestions and responses. The Meteor Storm & Alien Scavenger Hunt have been announced. The event will be available once P is back up post-fundraiser, with 15/20 clues available from day one. The remainder available the following day. The first admin hunt of the revision has been announced for this coming Saturday. We held another padmin meeting yesterday. Due to more frequent meetings, our agenda is greatly reduced. Here are our public notes from that meeting. We confirmed that the spawn gift shop task was complete but may continue to spontaneously add gifts to the villager as we think of new ones to include. Defiex talked us through her testing with Pez on the new dynmap markers. Following a suggestion-box suggestion, we will soon be updating the grinder markers with a new icon. We have decided to move away from publishing our responses to the suggestion box monthly and will instead have a bi-weekly response. We may increase the frequency further in future too if this is manageable. We have a new version of the alerts available. Our team will read over it thoroughly before making changes. The changes would condense the current list of alerts to roughly half the size, keeping useful commands visible for people but removing some of the clutter too. We have decided on a tentative start date for the meteor shower & alien scavenger hunt events. Progress has temporarily stalled on this event while we focus on the admin hunt. We provided an update on the admin hunt event. Awaiting for the multiverse to be moved over to live P so that we can put out finishing touches, with an announcement to follow shortly. Cujobear confirmed that the 12th NITWITS clue is now available. We talked about the timeline for the remaining clues, especially working around the fundraiser weekend. We discussed prizes for future milestones and ensuring that the final milestone will offer a choice to prizes. We confirmed the approach we want to take for collating new revision feedback across revisions 17 through to 20 in time for when we enter the revision 21 reset schedule. We discussed how we would approach revision preparation documentation. It was agreed that we would build this document as we build revision 21. Similar documentation for map-making was discussed with a similar approach in mind. We discussed the remaining three moderators due P specific training and encouraged ourselves to seek them out. The training area on P will be updated by Wednesday as the logged areas have now gone out of logblock. Several tasks were assigned with deadlines agreed for all actions. Suggestion box responses have been published. New safeguards have been introduced to hold us to account better. Novelty gift shop "Gnome Depot" opened at the rear end of spawn. This has included a redesign of the spawn structure now allowing for horses to pass through the building. Improvements to EasyRider have been made. Read here for the original post. For those unfamiliar or unaware, our team tends to hold a padmin meeting once a month where we discuss a range of points. We do spend a good deal of time assigning ourselves to tasks, setting deadlines and discussing current issues regarding P. Due to a request from Zomise, we've decided from here onwards to declassify our meeting notes as much as possible. We are going to continue redacting quite a lot of the details but we hope that these public notes are at least somewhat worth your time to read. Specifically, we have left out our deadlines as there are instances where our team meetings have planned actions which for one reason or another do not come to fruition. Mid-rev feedback topics have been locked. Declassified padmin meeting notes from 16th July meeting. We discussed the removal of region owners and transferral of a build in the context of UNP’s concerns and the steps in which we will take to address this issue. On the broader subject of guidelines for ourselves on how we would handle future requests, we have set forward an agreement to be put down in writing before publishing publicly. Each team member confirmed that our action log was up to date. Our action log is a document which our team uses to note down a limited scope of decision making when handling modreqs as a record for us to look back upon. 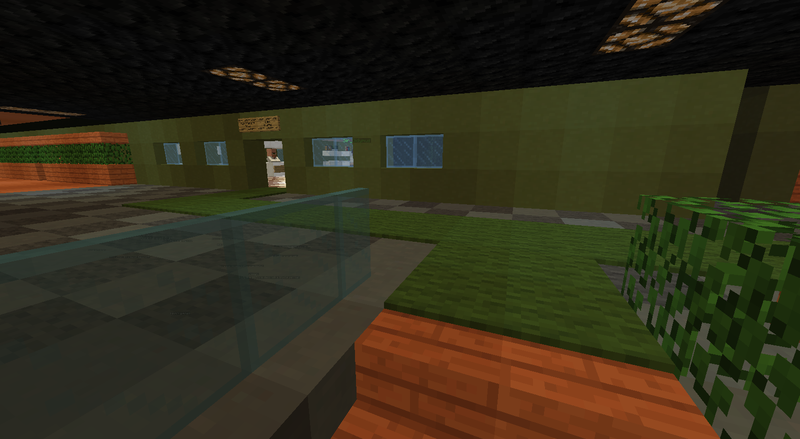 A discussion was had with the addition of a new fun feature at spawn. The NITWITS event was discussed further. Confirmation on an approach to document feedback in one place across revisions, rather than having one document per revision. Revision 21 reset schedule confirmed. Spoke with a creative admin during the meeting to ensure that our next resets did not coincide, to the detriment of either server. Established the vital milestones over our reset schedule. We reported in on any topics requiring responses from us that we had not already discussed. Mid-Rev Feedback topic had received several recent replies which we plan to respond to. We discussed the idea of running a particular event but dismissed the idea as we felt it wouldn’t work at this time. Update on the Admin Hunt. Confirmed planned testing with staff next weekend and agreed upon a timeframe for launching the event. An insignificant update on long-term documentation. Additionally, we discussed other areas we are missing from our documentation that we want to set up. Confirmed the remaining three moderators awaiting P specific training. Assigned ourselves to train each respective moderator. Discussed in detail the plan for the meteor shower and subsequent scavenger hunt events. We briefly highlighted our July staff meeting notes. We prepare talking points for each meeting in advance which are then usually released in the public staff meeting notes. Brainstorming and discussion for a new Adventurer’s Guild adventure were had. Confirmed the plan for a second admin hunt to occur, following the first at a later time in the revision. Brought attention to our alert list and discussed how we will attempt to clean it up. We discussed moving from having monthly meetings to weekly meetings. We will not always succeed but we are going to give it a try. We confirmed our intent to declassify our padmin meeting notes, as suggested by Zomise. We discussed creating a template for us to build events around to help us share information and plan better. Several tasks were assigned a padmin to handle them, sometimes multiple. Deadlines were established for all tasks (not necessarily for completion). Mapworld plots will persist going into the next revision for any completed plots. This will allow a map you create this revision to persist. P has updated to 1.12 - Big shoutout to Dumbo for making this happen. Parrots are unlikely to spawn naturally on P. We are looking to introduce spawn eggs for these across a number of current and upcoming events. Sir_Didymus is now a part of the padmin doppel roster and will spawn as part of the padmin doppels. Custom traps now have a chance to spawn a trio of illusioners. We are awaiting a MHF_skull update on these to add an illusioner skull to their drop list. For now, these are just a challenge to face! Mid-Rev Feedback Topic now available. Fun prizes added for Zaliek's trial at spawn. If you have already completed this then please modreq (preferably at a chest with your existing prize within) and we'll update your prizes. Villager added to a new room, directly above the melons at spawn (follow the green carpet). This villager is for people who have found all 20 temples from the first Adventurer's Guild challenge to trade their certificate of completion in for a choice of prizes. Prizes consist of either 2 x notch apples, 1 x diamond horse armour of 10 x gold blocks. The second revision 20 blog post is now available. New iron golem spawner upgrade costs introduced. Using /ignore will also block incoming mail now. Ignoring an individual without using the correct case sensitivity is no longer an issue. Revision 19 map download is available. Fundraiser Community Maze building has opened up in mapworld. The padmin doppelgangers will now only spawn as a trio with either cujobear, defiex or barlimore. Dragon spawning is available once more. Dragon spawning is temporarily disabled due to crashes. New Iron Golem Spawner Costs... and the first Revision 20 Blog is up! Alert List updated and cut down to 22 alerts! A disturbance in the force has resulted in the view distance being increased at various times of day from 4. This should now adjust in line with peak times up to a view distance of 6. Spawn plots are now available for claiming and decorating! Further reading on the guidelines available here. Portal owners can now request a single hole to be made in the nether-side roof above their respective portals provided you've tunneled up to the bedrock! The livemap is now available! Update made to Info Post & Wiki page on how to create a land claim. Update made to Info Post & Wiki page on Nether Portals: Must be made from obsidian, but can be decorated as players see fit! Added 1st Adventure Guild Challenge announcement to all platforms: The Hunt for Socarch's Buns! April 14th: Rev 20 beings! Edit: New responses have been edited into the top post.